No device is complete without a particular set of peripherials that allow the owner to make the most out of the device’s capabilities. Therefore, here is a list of five must have apps for Mac that everyone should try out in order to witness how they change the user experience. Alfred is one of those apps which are so good, they should come preinstalled on every Mac. I mean OSX Yosemite might come with Spotlight which looks similar, but it is nowhere near as useful as Alfred is. Alfred is a combination of an app launcher, a web search utility, file manager all in one useful fuzzy package. But then you can buy the Alfred Powerpack for $23 (GBP 15) which gives you even more functionality like the iTunes MiniPlayer, Clipboard History, Terminal integration and much more which makes it infinitely better than Apple’s Spotlight. 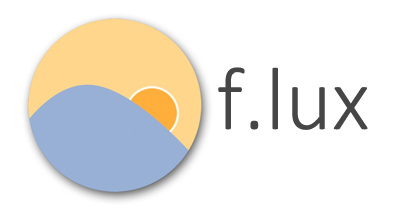 f.lux basically changes the brightness and hue of your screen, dimming your monitor later into the evening and tinting the screen colour based on the temperature our brain is accustomed to see at that point in the day. Of course, if you work in design or anything that requires accurate colour representation you can disable flux for an hour or until sunrise from the menu bar. Steam for Mac lets you download, install and play games ranging from Limbo to Call of Duty and Batman on your Mac. So the next time your friends take out their PCs and start gaming, you don’t have to be left out. Formerly “Read it Later” Pocket is one of the best reading apps out there and was one of our top 10 free productivity apps. Pocket stores all kinds of web content for you – YouTube videos, news articles, and even SoundCloud tracks from all of your devices for you to look at your convenience. It also comes with an offline feature which enables you to read through your content on the go or when you don’t have access to the internet. You might be surprised to see why this divine app is at the bottom of this list, but Google Chrome isn’t really an app. But there is a reason behind why I put Chrome on this list is because installing Chrome gives you so much more than just the ability to browse the web without cursing the existence of Safari but it also gives you access to awesome free desktop apps from the Chrome Web Store like Google Keep.